Soothing therapy on base of Thermal water from French Pyrenees for very sensitive and reactive skin. Pre-biotic oligosaccharides, dermo-saccharides and pure marine collagen are restoring balance of skin metabolism, providing strengthenes and calming effect. Intensive illuminating therapy using pure vitamin C and pomegranate extract. Perfect for ashen, neglected and smokers skin. Brightening, anti-aging and stimulating collagen production. Therapy with strong hydrating effect using low and high molecular weight hyaluronic acid. Long lasting hydration on all skin levels. For all skin types, specially dehydrated. Increase renewing skin, improving firmness, smoothing wrinkless and minimizing pores. Treatment is using 4 thechniques of peeling, included 50% of acids. Decrease visibility of pigmentations and brightening natural colour of skin. Treatment is using 4 thechniques of peeling, included 50% of acids. Protects skin from environmental pollution, provides healthy colour and luminosity. Oxygenating and antioxidizing effect. Perfect for skin living in urban environments. Mosaic method – individual personalized treatment for each type of skin and for all needs. A wide range of essences and face masks provide maximum effectiveness. Pleasant foam self-warming mask ensure relax and better penetration active ingredients. Effective regenerating treatment and long lasting anti-ageing effect. Containing highly coveted plant origin stem cell nanoliposomes, promoting the production of epidermal stem cells. Therapy „BOTOX LIKE”, alternative for all medical-aesthetic treatments. High amount of stimulating skin peptides, filling and hydrating substances provide immadietaly reduction deep wrinkles and expression lines, increasing elasticity. Professional treatment designed to restore the facial fullness of youth and redefine the facial contours. Contain biomimetic peptides, black peper extract and organic silicon which are powerfull ingredients providing anti gravity effect and lifting contour of face. sapphire dust enhance vitality, increase energy and reflect light. Created to reduce the appearance of advanced stages of fibrous cellulite. The Oedemacel Kit contains a mix of unique products that work in synergy to fight the appearance of oedematous cellulite. Specifically created for helping skin look firm and hydrated. Ideal for reducing the appearance of stretch marks. Treatment is using the most precious essential oil. Works hydrating, soothing, antiseptic and regenerating. Perfectly relaxing, leaves skin silky smooth and soft in touch. Treatment exfoliating and regenerating specially recommended for ashen and tired skin, is based on aromatic coffe and and rare oils. Works stimulating on metabolism, smoothing and purifying skin from toxines. Refreshing fragrance of lime will energise, perfectly oxygenate skin and bring back radiant look of skin. Restores hydro-lipid layer and adds vitality. Elderflower and sweet apple scent will take you to Sielanka’s Orchards, aromatic peeling awakes senses, during when compress with essential oils and goats milk makes your skin deeply hydrated, nourished and splendildly smoothed. Treatment on base white clay and goats milk works regenerating and rejuvenating. Ideal for skin with reduced skin tone and marks. Complex treatment for skin, body and mind, ensures completely renewal of the top skin layer, comparatively with 3- days detoxifying diet. 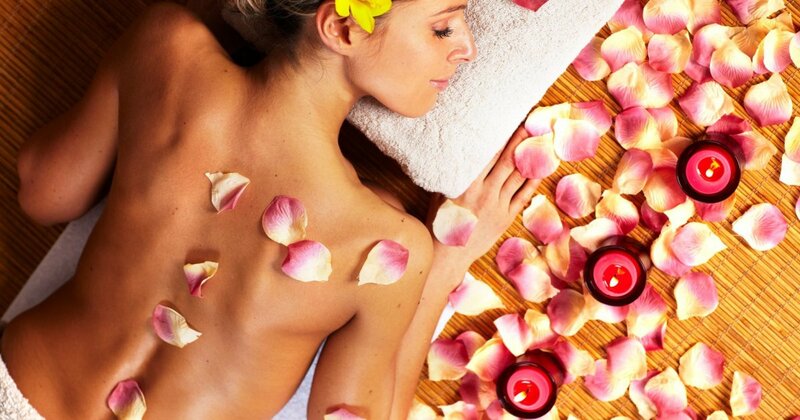 Massage with warm salt stones relieves muscle aches and fights tensions. Improves metabolism, circulation of blood and gives detoxifying effect. Very deeply nutritive treatment. Uses the action of lavender, goat butter and clay which are source of vitamins, minerals and antioxidants. Lavender has an effect calming and antiseptic, moreover it accelerates regenerating of epidermis. Fragrance of lavender improves mood, soothes and relieves stress. Hydrating, regenerating, smoothing and refreshing soft area around eyes. Deep firming and nourishing skin on neck and around eyes. Reducing wrinkles, elasticizing and smoothing strategic points. Gentle feet massage complete day full of play and attractions. Soft care small hands connected with colorfull fun. Fruity fragrances bomb will tune up positively each kid.